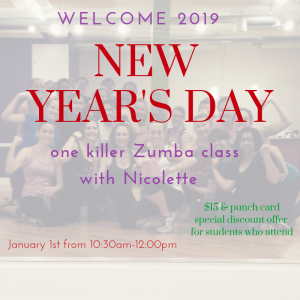 Jump start 2019 with an extra dose of Zumba at Dance Spa. Blast those extra holiday calories in this hour and a half class. Ditch the workout and join the party and celebrate the New Year at Dance Spa! Special discounts offered to students who attend this class!